If you forgot your Homebase password, contact your Property Manager to request a password reset email. 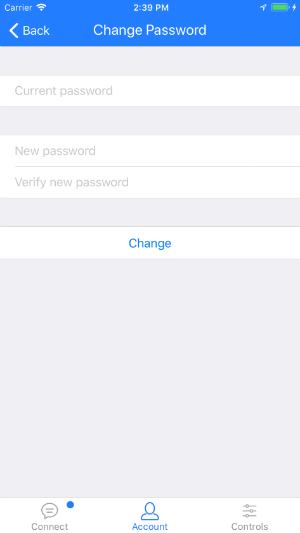 On the Change Password screen, enter your current password, new password and verification of the new password then hit Change. Note: If you forgot your password and are unable to log into the Homebase Resident App, contact your Property Manager. This added layer of security keeps you and your apartment safe.